Do you suspect your boyfriend, girlfriend, husband or wife of having an affair? Not sure if their recent change in behaviour is reason for concern? 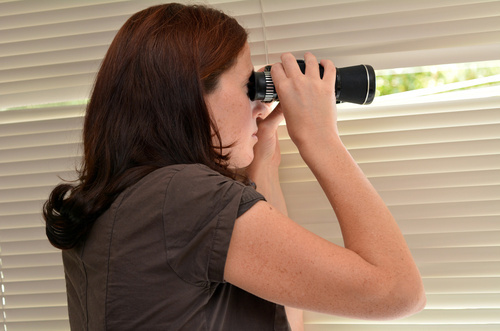 If the following common signs of infidelity sound familiar, it may be an indication that your partner has something to hide. Is your significant other suddenly working longer hours or taking more ‘business trips’? Perhaps their social calendar is fuller than usual and their weekends regularly consist of daytrips or nights away? If your partner is suddenly spending a suspicious amount of time away from home and making less time for you, this could be a sign of cheating. People that never let their mobile phone out of their sight and delete their text and call history often have something to hide. Texting is commonly the main form of communication in secret relationships, so if your partner is being overly protective with their phone, this could be a sign of infidelity. In this day and age, there are lots of ways to uncover deleted conversations. Private detectives such as Infidelity Investigators can provide data recovery services, so cheating partners’ secrets won’t stay hidden for long! Whether out of guilt or loss of interest, a cheating spouse will often emotionally remove themselves from their relationship. If your partner seems to be lost in their own thoughts or simply no longer takes much notice of you, this is an indication that there may be someone else occupying their mind. Is your partner paranoid that you are hiding something from them? Sometimes cheaters will point the finger at their spouse, accusing them of having an affair. This can happen because a cheater’s own behaviour may lead them to think that their partner is capable of doing the same thing to them. Has your partner recently joined the gym and started watching what they eat? Or perhaps they have treated themselves to some flashy new clothes and are beginning to spend more time in front of the mirror each day? People often like to present the best version of themselves in a new relationship, so if your partner is suddenly paying more attention to their appearance, they may be showing off for someone new. While these behaviours may indicate your spouse is being unfaithful, they are not conclusive signs of an affair. If you are concerned about your relationship, open communication is key to finding answers. Be careful not to jump to conclusions and don’t start making accusations until you’ve actually talked to your partner about how you feel.